Ever since the “Black Friday” indictments of the three major online poker outlets facing the United States – PokerStars, Full Tilt Poker and the CEREUS Network sites Absolute Poker and UB.com – there has been a rollercoaster ride of optimism and despair for poker players in America who have decided to sit out the game. Something that hasn’t been looked at, however, is what impact state and/or federal regulation of the game would have on the Nevada casino industry. Today, one of the top gaming writers in Las Vegas took up that issue. Las Vegas Review Journal writer Howard Stutz analyzed the situation following last week’s announcement that the South Point Hotel and Casino received the first Nevada license to offer online poker on an intra-state basis. In his analysis and through his discussions with people inside the Nevada gaming industry, he believes that Nevada’s place as the spearhead of online poker and gaming could be closing quickly and there are several questions that need to be answered. Fertitta is fearful that, even though Nevada is currently at the forefront of the intra-state poker movement, there isn’t enough “action” inside the state to warrant large companies’ attention. Nevada, with six million residents, is one of the smallest states in the United States and, as such, might have trouble building enough of a player pool to make it attractive for online operators to want to participate in. Potentially combining with other states in a limited “interstate” poker network would help to solve that problem, but no other states have reached the extent of their licensing procedures as Nevada has. California, which has the largest state population in the nation at 37 million players, has had a difficult time in moving online gaming and poker legislation through its General Assembly. Currently, a bill is stagnating in committee and probably will not reach a vote before the Assembly adjourns this Friday. Two other states that have been pondering the question of online gaming are Delaware and New Jersey. Delaware recently passed laws that would open up the online gaming market but, with less than a million residents, would potentially have a more difficult time than Nevada in attracting online gaming companies. New Jersey has, at different points, entertained the notion of online gaming, but for now seems to be putting their future gaming plans on opening the state up for sports betting in its Atlantic City casinos (currently outlawed by federal regulation). At this point, there doesn’t appear to be any movement on the federal front regarding internet poker, in particular, or internet gaming in general. The summer months brought rumblings from Washington, D.C., that federal legislation proposed by Senators Harry Reid (D-NE) and Jon Kyl (R-AZ) was agreed upon, but there has been no movement by the senators to put that before the Senate. Texas Representative Joe Barton, who has had a bill in the House of Representatives for much of the Congress’ current session, has also been unable to get his bill to move forward despite bipartisan support. There are possibilities that proposed federal regulation may come during the “lame duck” session following the November elections, but that could be an iffy proposition. If these proposals receive no action prior to January 2013, they will “die” with the close of the current Congressional period. As you can see, there are still several questions that face online gaming and poker in the United States. 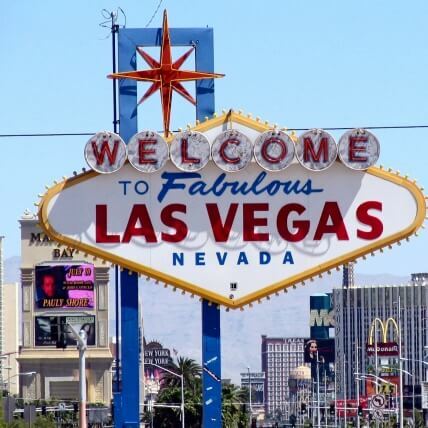 Just how aggressively will the Nevada gaming powers – Caesars, MGM, Boyd Gaming and others – pursue the intra-state models that look to have a leg up in Nevada on other states, and how eager are the Nevada casinos wanting some form of federal regulation.